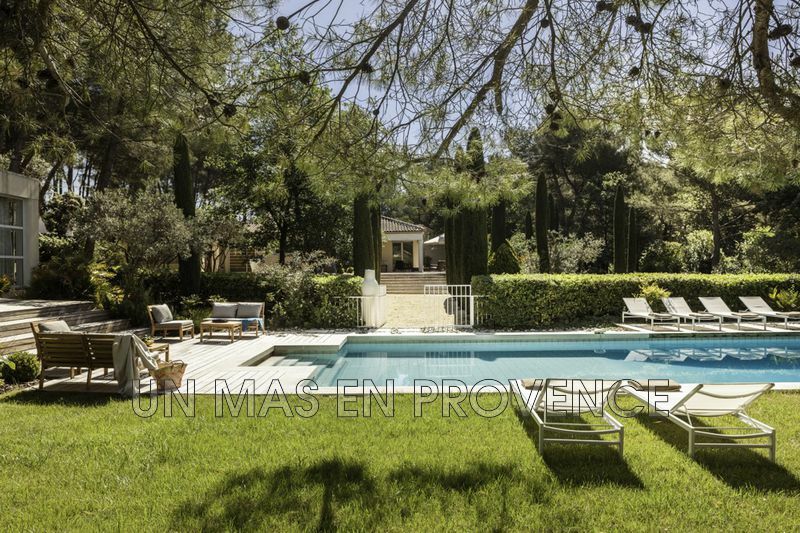 Close to a village of Provence, this architect-designed villa is comfortable and very well decorated. Property fully air-conditioned. Beautiful views. Shaded terraces. A 8 x 4m swimming-pool equipped with a security system. A landscaped garden of 4 000 sqm. 4 bedrooms, 4 bathrooms. 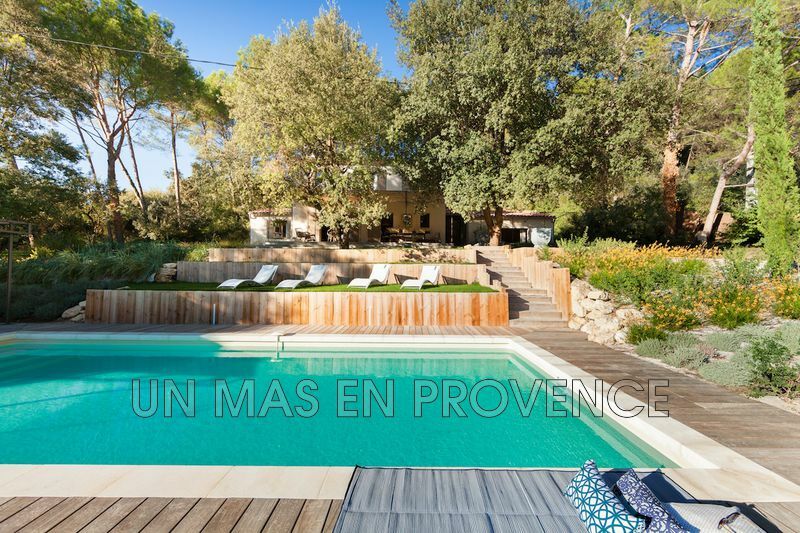 In the middle of pine trees, this property has a beautiful view of the countryside and comfortable living areas. A large terrace leads you to a heated and secured swimming pool. The house is equipped with air conditioning. Holiday atmosphere and high quality amenities. 4 bedrooms and 4 bathrooms.